The Cattle Barn was designed to harmonize with the Swine Barn, also by the same architects. 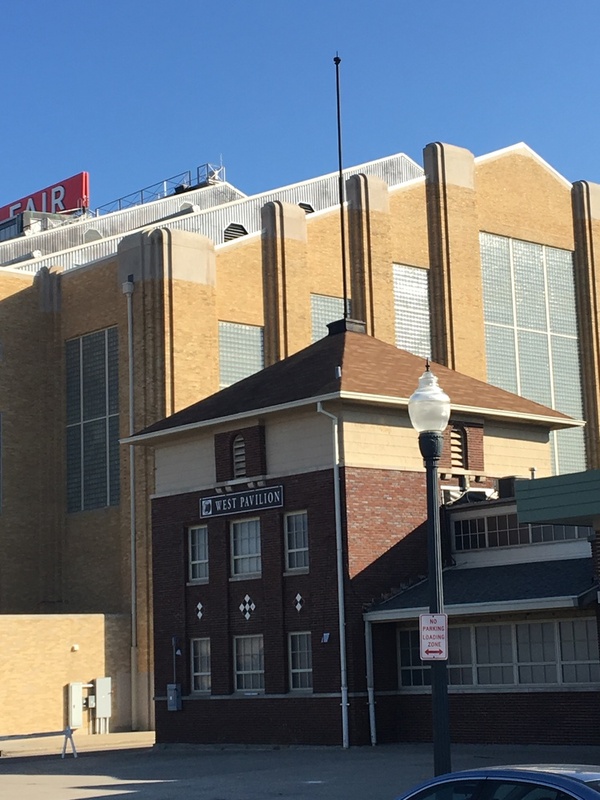 The corner towers idea was common on other open air pavilions of the time period, and, in fact, is an architectural feature that was used on many earlier (now demolished) State Fairgrounds buildings. 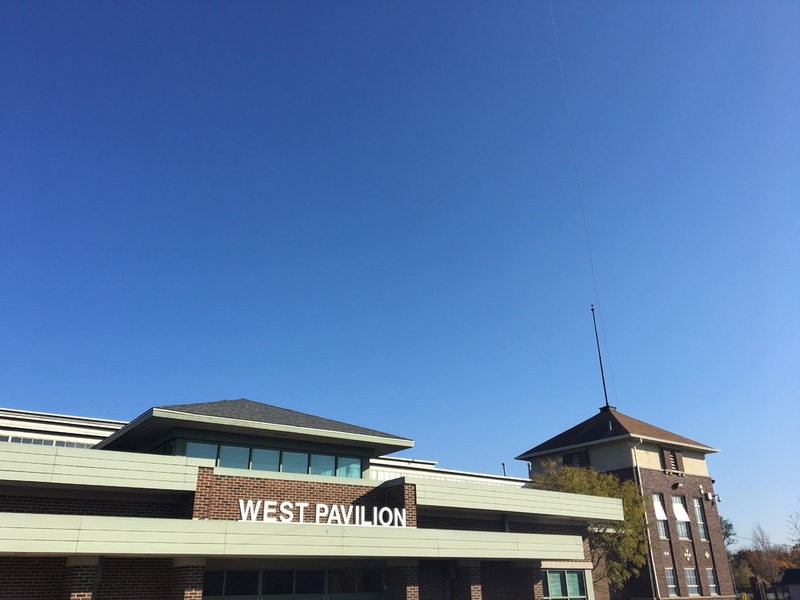 Look for the corner tower feature on other historic fairgrounds buildings. Do they look like houses of the era? In fact, they are! Many places inside the fairgrounds buildings have seasonal living quarters so that the buildings and animals can have on-site supervision at all hours during the Fair. When inside these and other 1920s buildings at the fairgrounds, look up at the ceiling. Builders were able to make large clear spans by using the same technology used in making metal bridges of the time. The elaborate diagonal trusses made out of steel are durable and remarkable for their engineering. 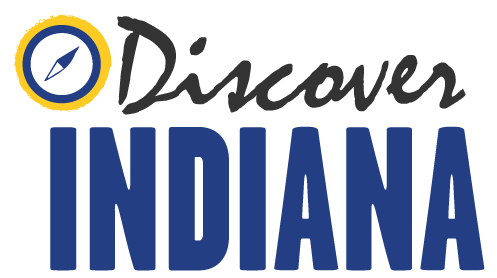 Indiana Division of Historic Preservation and Archaeology, “West Pavilion (Cattle Barn),” Discover Indiana, accessed April 25, 2019, https://publichistory.iupui.edu/items/show/280.